It has long been known that small businesses have realised enhanced profits through the adoption of ecommerce. However, a number of recent studies have suggested that it is the larger businesses that are reaping the rewards of e-commerce rather than the smaller businesses. This slow growth of e-commerce adoption in SMEs has been attributed to various adoption barriers that are faced by small business owners/managers. These barriers have been well documented in numerous research studies. However, the relationship between these barriers has not been fully examined, particularly in developing countries. 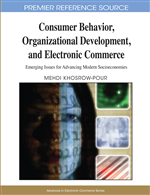 Of particular concern is the fact that the conclusions concerning the nature and role of barriers to e-commerce adoption have simply been transferred from studies in developed economies to those in developing ones. 96 non-adopting SMEs in Indonesia are compared to 129 in Sweden to determine whether the perception of importance of barriers differs between the two locations. The data is also analysed to determine whether the underlying factors of these barriers differs across the two locations.